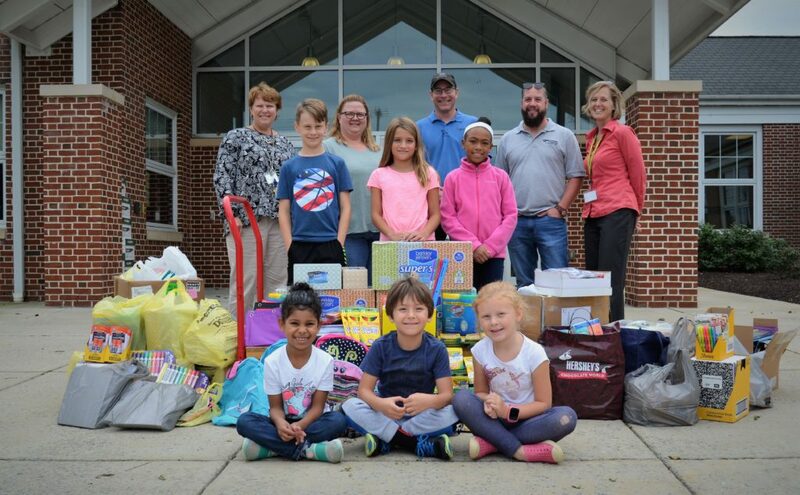 Thanks to the efforts of two local businesses, students at four Penn Manor schools are getting the supplies they need to help them excel in school. Hundreds of markers, pencils, notebooks, crayons, rulers, glue sticks, backpacks and tissues were collected in an effort that began five years ago and has grown from one school in the first year to four this year. Representatives of Roberts Automotive and Custom Classics pose with principals and students outside of Central Manor Elementary.